We understand the importance of your client relationships. Rest assured that we will work with the client in whatever way you like, up front or behind the scenes. Your clients will appreciate your helping them achieve more than they thought possible. Whether their needs are simple or complex, utilizing our expertise and experience will add value to your services. We work with you to create giving strategies customized to your clients’ personal and financial goals. Your client’s gift to the Community Foundation of Southern Indiana receives the maximum tax benefits allowed for a gift to a public charity. Being philanthropic does not require a lot of wealth. The Community Foundation can work with you to craft a plan that meets the needs of all your clients. No matter their income level, your clients can have a giving plan that fulfills their charitable goals. Your clients can make a gift when its the right time for them, and then, when they’re ready, recommend grants over time to the not-for-profits of their choice. They have the flexibility to support many different charitable interests from one fund.  An endowment fund at the Community Foundation never goes out of date, even if the original charitable purpose can no longer be fulfilled. When they create a fund, your client may designate an alternate purpose of their choosing for this contingency, or the Foundation’s Board of Directors will use the fund to support a cause that most closely matches your client’s original intent. It’s our pleasure to work with you to explore the best options for your clients’ personal and financial goals. There is never any obligation, and there is no charge for our consultation, planning or drafting.